Crime is a byproduct of society that nearly every culture and country must contend with. In the United States, it is important to accurately identify the individual(s) responsible for crimes in order to see justice served. Accurately determining the facts involving a crime not only helps to discover who is responsible for it, but it also helps victims and/or their families get the answers and the sense of security that they need. 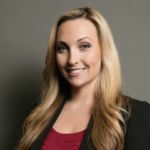 Solving a crime and prosecuting a suspect is complicated and requires diligence on the part of law enforcement officials when it comes to the investigation of the crime. Crime scene investigation involves locating, collecting, and interpreting evidence found at the scene of a crime. To do this, forensic experts or forensic science specialists are necessary. Forensic science utilizes scientific methods or techniques to interpret evidence during investigations. Often, a special unit of forensic technicians enters a crime scene to properly perform the collection, documentation, and preservation of evidence such as blood, fingerprints, etc. The gathered evidence is then examined and analyzed to help determine exactly what happened at the time of the crime. Forensics has numerous subdivisions, such as digital forensics, and covers various fields of science, including anthropology, toxicology, and medicine. Below a criminal defense attorney from Aizman Law Firm will provide resources on forensic investigations. Crime Scene Investigation: Click on this link to open up a 58-page guide on crime scene investigations for law enforcement. This PDF reviews all aspects of crime scene investigations, starting with the initial crime scene response. This section of the document covers not only the initial response but also the receipt of information, safety procedures, securing and caring for persons on the scene, and more. Other sections include information on documenting, processing, and recording the scene as well as on equipment used. Crime Scene Response for the Patrol Officer: The information on this page is from the Police Patrol: The Law Enforcement Magazine website. The article reviews the actions that patrol officers take as first responders to a crime scene. Crime Scene Investigation: A Guide for Law Enforcement: Read this guide for thorough information on various aspects of crime scene investigation. Information that can be found in this document includes the initial response to the crime scene and prioritization of efforts as well as processing the crime scene, documentation and evaluation, and recording the scene. Crime Scene Response Unit: Readers who want to learn about crime scene response can click on this link to the Executive Office of Public Safety and Security in Massachusetts. This page discusses what the Crime Scene Response Unit does when responding to a crime scene. Although some information is for the state of Massachusetts, the basic information about crime scene response is general. The Homicide Crime Scene: Learn about the homicide crime scene by clicking on this link. The information on this page covers what a crime scene is and how law enforcement responds to it. Forensic Crime Scene Investigation: This is the city of Colorado Springs page for their forensic crime scene investigation unit. Although this page is for the city’s unit, it reviews what generally takes place during a response to a crime scene, such as creating scene diagrams. Crime Scene Response Unit: Crime scene response in terms of the Crime Scene Response Unit is discussed on this page. The page covers what happens when the unit responds to a crime scene, the investigators, and what their responsibilities are. Securing the Crime Scene: Learn about who is the first to respond to a crime scene and what that person’s duties are. Approaching and securing the scene are also reviewed on this page. Investigation: Crime Scene Response Team: Click this link to reach the Washington State Patrol’s website for their crime scene unit. The page is for this unit, but the information regarding crime scene response and what it entails is information that applies to crime scene response in general. Location and Collection of Evidence: The importance of locating and collecting evidence is reviewed on the page associated with this link. Avoiding cross-contamination is also discussed, as is the equipment needed to accomplish that goal. Crime Scene Processing: Techniques for collecting and processing evidence are reviewed in this PDF. Readers will also find a wealth of information on crime scene processing, including DNA evidence, the chain of custody of evidence, definitions, crime scene sketches, and more. Equipment Needed for Crime Scene Investigation: Visitors here will find lists of equipment that is needed to process a crime scene. The lists include essentials needed by first responders, by crime scene personnel, and in evidence collection kits, blood stain pattern documentation kits, fingerprint kits, trace evidence collection kits, and more. Crime Scene: The official website of the city of Indianapolis outlines how crime scenes are processed. This includes the careful collection of evidence. The page includes a video. Some of the information on the page is specific to Indianapolis, but the collection of evidence is information that would apply to any crime scene. Preservation of Evidence: Here is a list of steps that cover what crime scene investigators must do to preserve the evidence that they collect. At the Crime Scene: Finding the Evidence: By clicking on this link, readers learn about the importance and process of finding, collecting, and preserving evidence. Examining the scene and body are also discussed on this page. Hairs, Fibers, Crime, and Evidence: This is a forensic science communication from the Federal Bureau of Investigations regarding crime scene searches and the collection of evidence. People who click this link will also read about handling procedures for evidence and the FBI’s protocol for processing evidence. Forensic Evidence Handbook: Readers who visit here will find a guide that covers various aspects about crime scenes and forensic response. In Section III of the PDF, there is extensive information on the collection and preservation of various forms of evidence. The document also includes in-depth information on crime scenes and laboratory submission forms. Methodical Approach to Processing the Crime Scene: Learn more about crime scene photography by clicking on this link. The PDF that is associated with the link discusses crime scene photography in-depth. In addition to crime scene photography, the document also discusses crime scene processing, documenting, sketching, and mapping. Ten Basics of Crime Scene Photography: Everest University Online provides ten detailed basics regarding crime scene photography. Basics include having the right type of camera, not erasing any photographs taken, and more. Crime Scene Photography Requirements of Criminal Investigative Analysis: An article from the Iowa Division of the International Association for Identification reviews requirements when taking photos to be used in criminal investigative profiling or analysis. Much of these requirements involves photographing the area that is surrounding the actual crime. Crime Scene Investigation: Forensic Science: Discover what defines a crime scene, uses for evidence, and general crime scene procedures and investigative techniques, including photography. Crime scene photography is discussed as a crucial part of documenting a crime scene. Information regarding photographing the crime scene appears on page nine of the document. The Crime Scene: On this page, review what happens at a crime scene and when photographs are taken as part of the documentation process. A Simplified Guide to Crime Scene Photography: Review the PDF associated with this link to learn about crime scene photography. Following the introduction, the guide outlines principles of crime scene photography, when and why it is used, how it is done, and other facts. FAQs include crime scene photography limitations and quality control. Common terminology is listed at the end of the document. How Crime Scene Investigation Works: Information about photographs, note-taking, who is at the crime scene, sketches, videos, and examining the body are all included in this PDF. The document also includes how CSI goes about examining the scene of the crime, including illustrations. Forensic Photography: Concepts and Applications: Definition, rules, common problems, and more are covered by the PDF associated with this link. 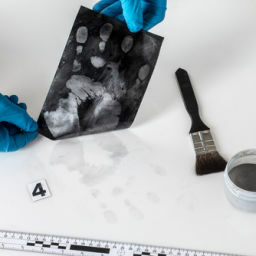 Readers who select this link will learn some basics about aspects of crime scenes and forensic photography topics such as lighting, perspective, and surveying the scene, for example. Advice About a Career in Forensic Science: Information about various career choices in forensic science are reviewed on this page. Careers include crime scene examiner and forensic engineer, for example. Required education for these careers is also covered. CSI Crime Scene Investigation: Who Solves Crimes? Review careers that help solve crimes and what degrees are needed for entry on this page. Forensic anthropology, crime scene technician, police officer, and forensic entomology are just a few of the career paths reviewed. Crime Scene Investigator: People who are interested in pursuing a career as a crime scene investigator can visit this page to learn what they do and what the educational requirements are. How Do I Become a Forensic Scientist? Basic requirements to become a forensic scientist include education, skills, and curiosity. Crime Scene Investigator (CSI) Academic Requirements: Review what the academic requirements are to become a crime scene investigator. High school, college, and post-college requirements are listed. Occupational Outlook Handbook: Forensic Science Technicians: Read how to become a forensic science technician as presented by the Bureau of Labor Statistics. This is the ideal page to click on in order to learn about educational requirements, training, any certifications or licensing, and skills or qualities that an individual should have. How to Become a CSI: The International Crime Scene Investigators Association explains what a CSI is and the job description. Readers who click on this link will also learn what is needed to become a CSI as well as how much it pays. Forensic Science: Students interested in forensic science as a major should click on this link to discover what degree type is needed to pursue this career, typical courses, and how to create a college checklist for help choosing the best college. Readers are also presented with questions to determine if they are ready for this major. Crime Scene Search and Processing: Types of search such as hot and cold searches, team structure, and photographer are discussed at length in this PDF. In the section regarding photographers and photographic log recorders, readers are given information regarding crime scene photographs, when they should be taken, why they are important, and the three views that must be taken. Sketches and information on finishing the processing of the crime scene are also a part of the document. Forensic and Police Psychology Books: A listing of forensic related books recommended by professors to their classes for use as sources are given here. PBS Teachers Forensic Science Recommended Books: A list of three books is recommended by PBS Teachers regarding forensics. These books are for kids up to the eighth or 12th grade but may contain useful information for anyone interested in forensics. Forensic Science Recommended Reading Resources: Norfolk Public Schools lists eight books that they recommend on forensic science. Non-fiction Books on Forensics: Skokie Library offers a list of nonfiction books that explore the topic of forensics. The list can be used to find books in one’s local library or bookstore. Book List: A list of forensic books, some of them co-published by The Chartered Society of Forensic Sciences, includes the name of each book and a brief overview of each. SUNY Canton Assistant Professor Pens Book on Forensic Investigation: An article discusses the forensic book “Criminalistics.” The book was written by assistant professor of criminal justice Elizabeth A. Erickson, who is a professor at SUNY Canton. Bibliography of Forensic-Related Books: This list of forensic-related books includes books on trace evidence and crime scenes, DNA, forensic anthropology, pathology, toxicology, and more.